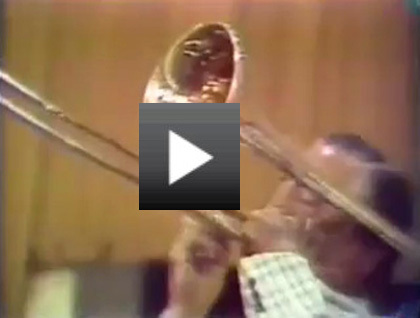 The following video clip is Wild Bill Davison and his All Stars at the 1975 World Championship of Jazz in Indianapolis. Personnel is: Bill Davison cornet, Sal Pace clarinet, Billy Maxted piano, Abe Lincoln trombone, Jack Lesberg bass and Cliff Leeman drums. 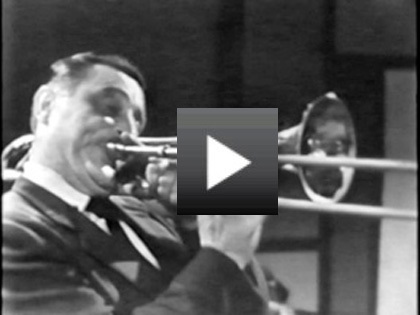 DISCLAIMER: The following video clips are excerpts from the July 30th, 1956 broadcast of the Stars Of Jazz series, hosted by Bobby Troup. After extensive due diligence by the webmaster to determine the copyright status of this video, much evidence surfaced to indicate the Stars Of Jazz series is now in the public domain. If any party with demonstrable jurisdiction can show that this is not the case and objects to the posting of these video clips, the webmaster will immediately remove them from the website. The webmaster and the Abe Lincoln estate would like to acknowledge the behind-the-scenes individuals who made the Stars Of Jazz series a reality - Norman Abbott, director; Bob Trachinger, technical director; Jimmie Baker, producer; Pete Robinson, program director. 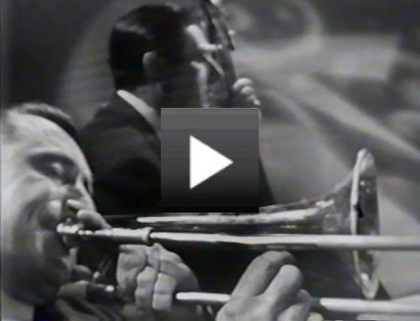 Without their dedication and love of jazz, the Stars Of Jazz series would never have come to fruition and this rare footage of trombonist Abe Lincoln in his prime would not exist. Still photos taken during this show (very kindly provided by the Ray Avery estate) can be found here. The Rampart Street Paraders performing Struttin' With Some BBQ.